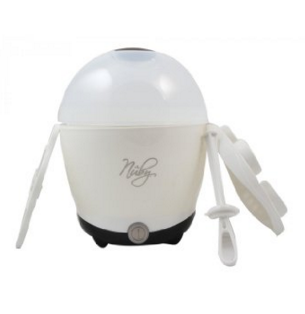 The Nuby steam steriliser is ultra fast and ultra cool. Designed to fit with your modern kitchen, it’s simple to use and sterilises in just 5 minutes! It keeps your feeding items sterile for up to 24 hours, perfect for your busy life.